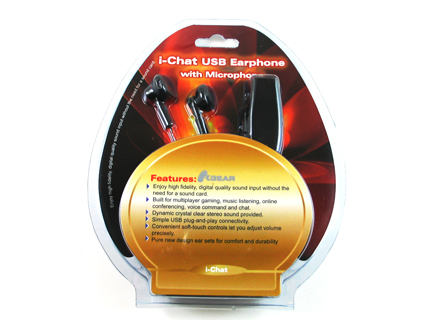 The i-Chat is an integrated USB audio unit that combines a removable crystal clear sound earphone and a highly sensitive microphone. Enjoy high fidelity, digital quality sound input without the need for a sound card. Plug & play to get clear stereo sound. Includes in-line controls. Perhaps the best part is that you can use any pair of stereo earphones that you have and add mic support for gaming, VOIP and much more!